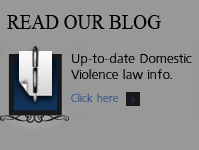 Colorado Domestic Violence Mandatory Arrest Laws - Wrong Headed - Make No Sense - Denver Criminal Attorney Specializing in Domestic Violence Cases - Colorado Criminal Defense Lawyer. The Colorado law requiring mandatory arrests in Colorado domestic violence cases is based on flawed research. This article discusses the origins of the policy and explores why the research does not support this absurd and draconian law that has – singlehandedly removed discretion from the police officer on the street in favor of blindly enforced mandatory arrests of Colorado domestic violence suspects. Most reasonable Colorado citizens – particularly those familiar with and that work within the criminal justice system — acknowledge that it is unrealistic to expect restraining or protection orders or arrests alone to be effective in deterring acts of domestic violence. Despite the lack of scientific evidence that support the effectiveness of mandatory arrest policies in domestic violence cases – no matter how minor – they have been enacted in 24 states. All 50 states have some form of de facto mandatory (preferred or pro-arrest) domestic violence polices. Colorado domestic violence cases were handled much differently prior to the 1980’s. The current research – even research performed by so called “feminist” social scientists – has documented that mandatory arrest “one-size-fits-all” policies (making arrests as if victims and offenders constitute one kind of aggressor group), creates the illusion that intervention by the criminal justice system. The truth is a more comprehensive solution to the complicated facts and circumstances of every family or other relationship at work in domestic violence cases requires much more careful thought. The police response to reports of domestic violence has greatly changed since the 1980s. The focus on MINOR misdemeanor arrests is because of the alleged historical response to arrest in these cases. The majority of domestic violence cases are simple misdemeanor cases not serious felonies. One of the first studies used to support mandatory arrest in misdemeanor domestic violence cases was called the Minneapolis Police Experiment. The conclusion of the report – used today to support mandatory arrest policies – was that arrests alone deterred future act of domestic violence. Time and other studies have proven this idea to be untrue. The theory is that offenders of even minor domestic violence would be reluctant to commit future acts of domestic violence if arrested – the belief is that the arrest experience alone would be a sufficient deterrent to keep them from engaging in future acts. These studies found that overall arrest generally led to reduced future acts of aggression toward victims but this effect was very modest (e.g. did not have a major impact upon future violence). There was no association between arresting offenders and an increased risk of violence toward victims; e.g., arrest did not make it more dangerous for victims, but it also did not make it significantly better in terms of deterring future acts. Translated, it didn’t do much better, or much worse than other options. No other Colorado crime – including serious felony cases – requires the police officer to make an arrest if the officer does not wish to make the arrest. The research and evaluation of mandatory arrest policies and no drop policies as well as civil or criminal protection orders, community interventions and other tools have generated weak or inconsistent evidence of deterrent effects of repeated acts of domestic violence. In many other states – there is no state law that mandates arrest in domestic violence cases. These states may have a policy preferring arrest – but few police departments take away the “man of the street” discretion placed on the shoulders of experienced law enforcement. Mandatory arrest laws require the police to make arrests in domestic violence cases when there was probable cause to do so, regardless of the wishes of the victim. The 1994 Violence Against Women Act – reenacted in 2006 and most recently in 2013 – has provisions in it that forbid practices that endanger women. It is clear to those of us in the Colorado criminal justice system that “one-size-fits-all” policies actually endanger some women, men and children. Research support an approach that engenders a coordinated community response in place rejecting the mandatory domestic violence arrest policies. “By their very nature, mandatory one-size-fits-all policies ignore the diverse needs of families.” Mandatory one-size-fits-all policies eviscerate the diverse support and varied resources that some families require” (Eng, 2003; Wells & DeLeon-Granados, 2005). Advocates and public policy makers ignore the fact that mandatory policies are placing some families, because of their distinctive characteristics (including race, ethnicity, class, education, employment and religion) in greater danger (Crisler, 2005; Dugan, Nagin, & Rosenfeld, 2003; Eng, 2003; Hanna, 1998; Maxwell, Garner, & Fagan, 2001; Sherman, 1992; Stake, 2005; Wells & DeLeon-Grandos, 2005). Most advocates and public policy makers claim that the Minneapolis Domestic Violence Experiment documents that “arrest works best.” They ignore that the results of the experiment were specific to a particular demography and the results do not imply that all suspected offenders be arrested (Sherman & Berk, 1984). Advocates and public policy makers also do not consider the fact that the effort was just one of six NIJ sponsored experiments. What the advocates, public policy makers and the literature almost universally omit is that the research from all six studies document that the majority of offenders discontinued their abusive behavior without being arrested (Maxwell, Garner & Fagan, 2001). Not one of the six studies document that mandatory arrest should be the preferred policy. In fact, the lead author of the Minneapolis Domestic Violence Experiment continues to publicly argue against mandatory arrest (Sherman, 1992). The policy supporting mandatory arrest laws in Colorado domestic violence cases is primarily based on anecdotal stories that rarely examine the context and circumstances of individual incidents. Neither the seriousness of the incidents used to support the policy or the actual diverse needs of each real victim is ever examined. The policy is based on the false premise that the police do not care about domestic violence victims and supported by the exaggerated claims of some “victims” advocates that police officers could care less about female victims. The reports of law enforcement failing to respond appropriately or refusing to take proper action are primarily found in retrospective studies of law enforcement domestic violence responses. The context and circumstances of the individual incident is usually ignored. In addition, researchers often do not separate the serious and chronic violent assaults from minor or infrequent physically aggressive behavior (Davis, 1998; Sinden & Stephens, 1999). Mandatory policies demand that criminal justice professionals ignore the difference between serious (battering) and minor (family conflict) (Davis 2008; Johnson & Ferraro, 2000). It has been my experience for the last 30 years in the Colorado Criminal Justice system – having been a career prosecutor and now a career criminal defense lawyer – from BOTH SIDES of the courtroom – that most police officers – when not forced to make arrests under mandatory arrest policies — do take into consideration the context and circumstances of an incident. Minor – incidents not deserving of prosecution – do NOT – and SHOULD NOT result in an arrest. The negative “meat cleaver ” impact of the Colorado Mandatory Arrest in Domestic Violence cases – on the accused, the alleged victim, and their families includes the breakdown of the family, the economic deprivation of the victim, the trauma associated with separation of families, and the lack of childcare in situations of dual arrest…. As described by Margaret Martin in the Journal of Family Violence. It is time for this misguided law to be repealed. Unfortunately – with the re-enactment of the Violence Against Women Act in March of 2013 – it is very unlikely anything will change across the country – the federal money is just too attractive to turn down. 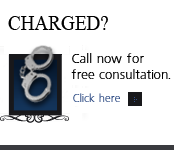 If you have questions about Colorado Domestic Violence Mandatory Arrest Laws in the Denver metropolitan area and throughout Colorado, attorney H. Michael Steinberg will be pleased to answer those questions and to provides quality legal representation to those charged in Colorado adult and juvenile criminal matters. 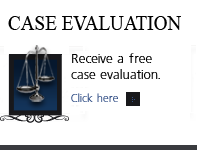 In the Denver metropolitan area and throughout Colorado, attorney H. Michael Steinberg provides quality legal representation to those charged in Colorado adult and juvenile criminal matters as regards Colorado Domestic Violence Mandatory Arrest Laws.